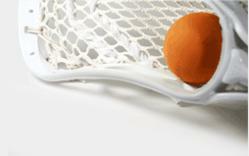 Premier Online Retailer of Lacrosse Gear and Apparel Announces Catalog for 2012 Lacrosse Season. Lax World, the authority in Lacrosse equipment & apparel, announces their online spring catalog for the 2012 Lacrosse season. The Baltimore-based retailer with 12 stores in Maryland, Pennsylvania, Georgia, Colorado and Virginia offers their collection of lacrosse sticks, gear and apparel online for shoppers anywhere. The world’s largest specialty Lacrosse store, Lax World has equipped individuals and teams in one of the fastest growing sports on the youth, prep, college, and professional levels. Today, over 20 years later, LaxWorld.com unveils their newest of online catalogs with a larger selection of gear from the best manufacturers in the game. As Lacrosse season has already began on the college level and will begin in April for the pros, Lax World customers on all levels will gear up for the spring and summer. Lax World’s spring catalog includes old favorites like lacrosse gear from Brine, as well as hot new products such as the newest line of Under Armour Lacrosse Equipment. And while Lacrosse players begin to equip themselves on the field, lacrosse fans shop for top of the line apparel for off the field. LaxWorld.com allows online users to shop for lacrosse shorts, shirts, socks and shoes from their favorite brands. The site also allows shoppers to find gear from their favorite teams like the defending National Champions Virginia Lacrosse, and fan-favorites Hopkins, Syracuse, Maryland, Cornell & more. Lax World is the largest Lacrosse Specialty store on the planet. Since 1998, Lax World boasts the world’s largest collection of lacrosse shafts, heads, helmets, shoes, shoulder pads, arm guards, gloves & more. Lax World equipment bears the names of trusted manufacturers like Warrior, Brine, STX, Cascade, Maverik, Nike, Under Armour and many more – including their own collection of Lax World products.